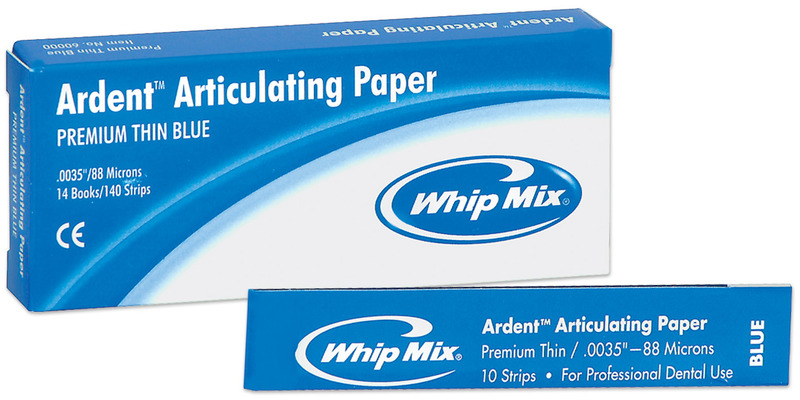 Non-smudging articulating paper for wet or dry fields. Contains: 140 strips (14 books, 10 strips/book). Contains: 150 pre-cut strips in a plastic dispensing box. Contains: 70 strips (7 books, 10 strips/book). Contains: 144 strips (12 books, 12 strips/book). Contains: 72 sheets (6 books, 12 strips/book).